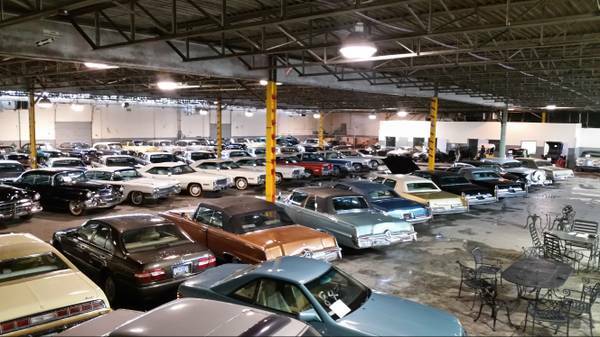 Some folks in Henry Ford’s home town of Dearborn, Michigan are keen to sell 127 cars, but they don’t own a dealership. 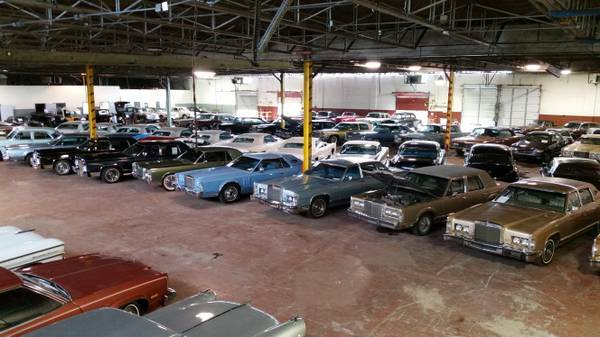 That might sound like Elon Musk and Tesla trying to skirt franchise laws in the Motor City state, but it’s actually a cool collection of cars from the 50’s through 70’s. 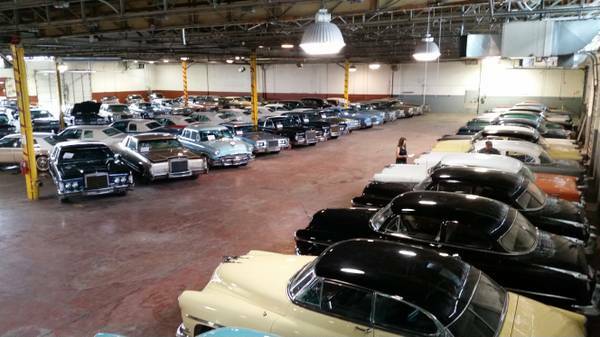 Blake Weldon’s Grandpa loved cars and built this 127 car collection over a period of 50 years. He died about a year ago and the family wants to find new sheppards for these old cruisers. 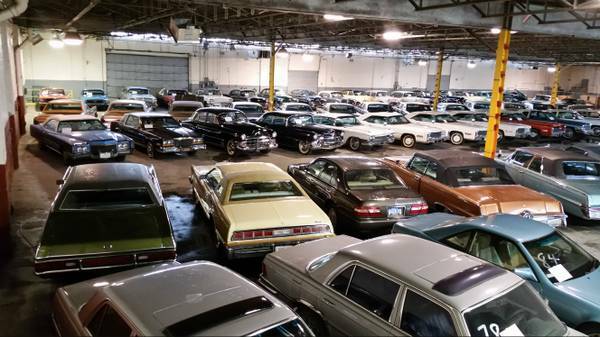 If you love mid-seventies Cadillacs and Lincolns, there are quite a few to choose from. The cream of the crop are 3 1976 Bicentennial Eldorado converibles with less than 400 hundred miles on them and Monroney stickers still in the windows.The triple white, 500 CID, FWD leviathans and are truly the last of an era. The buyers will join an exclusive club as only 200 total were built and can count Jay Leno and Saudi Arabian sheiks as fellow owners. They’re asking $90K each. Fifties cars are well represented with a bunch of Tri-5 Chevys, Fords and the collector’s favorite, Rocket powered Oldsmobiles. If Big 3 cruisers from the ’50s and ’60’s are too common for you, there’s some hotrods and a zippy little 1908 Sears “Four Wheel” buggy that need new homes as well. While most are in good condition, some seem a little forlorn and are a reminder that avoiding the dreaded “lot rot” is a never ending battle. To keep ’em clean, tuned and exercised would darn near require a full time crew. If you have the time and money, you could buy the whole lot? In the meantime, the video and pictures are a delight for carspotters. What do you see that grabs your eye? Be sure and see list of what’s sold after the pictures below. Here’s a list of what sold courtesy Bangshift.com.